…and ended up buying three to take home. I sure hope these are the figs that I like to eat, and that they will thrive in our yard, but I remain a tad skeptical for now. The leaves sure look terrific, and these ones actually have small fruit already on the trunk, which is a good sign, I suppose. But I would be utterly ecstatic if these turn out to be true-blue delicious, soft, seedy figs! P.S. The trees were PHP800 a piece ($18) which I thought was rather reasonable. And i could have gotten larger ones for the same price, but they wouldn’t fit in the car… If you have experience growing figs in the Philippines all the way to the fabulous fruit, please let me know and I would appreciate any growing tips as well. Many thanks! See this old post of mine of a mature fig tree in Spain/Morocco, the leaves look almost the same! Those fig tree look exactly the same tree we planted last year in our home in Vegas,they bear a very sweet and tasty fruit,and survive the winter..we moved them on middle of summer heat due to new landscaping,now it look that they won’t survive,I love figs too..hoping they bore …they already are,lots and lots of figs!Good price too,for the same size tree here cost $29.00! I saw a show called “Food Unwrapped” and they did a segment on figs. Apparently there are inedible male and edible female fruits. There’s a wasp that lives in the male fruit that needs to pollinate the female fruit in order for the fig to develop. There may be some fig varieties though that need not go through this complicated process. My Maryland neighbor grows figs in her yard. She told me they grow better when planted close to a wall as opposed to being in the middle of the yard or in a wide open space. You may want to find a suitable location in your yard and see what happens. Good luck! Missed bumping into you again at Centris! I usually hang around the plant section before I do my veggie shopping. http://tropicalfruitforum.com/index.php?topic=2242.0 Reply #14 onwards. Looks like it works. Apparently it works. Tried to post a link to the forum where someone did it but my post doesn’t appear. Khew, sorry, I think the site’s spam filters hold comments with links for approval sometimes… Thanks for that link! If only for healthy leaves, this will be worth it! I am more familiar with the common Philippine ficus variety called sandpaper fig, what we call pakiling back home where it is used as pang-isis, “green” scouring pad. In grade school, Friday afternoons were dedicated to cleaning our wooden desktops and one or two windfallen leaves picked up from under the ficus tree was the essential cleaning implement of choice. Oh, and this is one rough fig leaf you really want to avoid as foil for indecency. I grew up with a scrawny fig tree in the garden of our Iligan home. It would fruit about twice a year, and my mom would make a grand production of harvesting the figs. She’d be holding her pruning shears, perched on a ladder, and I’d be holding a colander where she would carefully put the fruits into. They were delicious- especially when they were nicely chilled. I’m pretty confident you’ll be able to enjoy fresh figs from those three saplings you bought- and I look forward to seeing a bumper crop-post reminiscent of the IG posts about your lime harvest! That sure looks like a bona fide, self-pollinating fig tree. I adore figs, and am looking forward to the secondary harvest from my tree. Good luck! If figs can be grown locally, are there any availabe homegrown fruits for sale in the weekend markets? I think I’ve seen some fresh figs in Santis but I always thought they were imported. Then again you might be starting a new trend, just like when romaine, arugula and kale all used to be imported. On a side note, imported lemons cost over P200+ per kilo when bought per case. I just recently bought yellow lemons from Baguio for P100/kg, while the green variety was going for P70/kg. Growing imported produce locally should be encouraged and fully supported, as this site always does. Monty, I haven’t seen fruit for sale yet, but if I do, and they are sweet, I would be the first in line. You are right that there is a huge market for locally grown produce, but we have to get logistics in place to get it literally from farm to markets. Cabbage several years ago was roughly 12 pesos a kilo in Benguet, but close to 80 pesos when it got to groceries in Manila, that’s an incredible markup. I find it hard to believe that we now import so many vegetables from Australia, China and the U.S. and we can’t manage to grow them locally instead. Last year, there was a shortage of lemons and they rose in price to PHP40 a piece in Cebu, I called my suki who brings lemons down from Baguio and got them half price, but had to airfreight them to Cebu! KRon, the fig tree guy had a LOT of saplings in stock, and I bargained him down from his starting PHP1,200 price. He tried to convince me that until recently they were asking PHP3,000+ per plant, no wonder I never bought them previously. I suspect in a year the price will drop in half again if it’s that easy to propagate them. Several vendors at Centris had them on offer on Sunday. I am excited at the prospect of planting a fig tree when I go home in 5 months. I love figs too and I’ve been wondering why they won’t grown in the Philippines when I know they grow wild in the mountains in Greece. It might do well in Ilocos since we are a coastal town and quite dry most of the year. Thank you for this find and I wish you luck in your fig plant. oh, i’ve been meaning to tell you for some time now, MM….a friend has several fruiting fig trees in their farm here in mindanao, and have been giving away a few jars of fig jam to friends. another friend brought over from the middle east some fresh figs and dates, planted some seeds somewhere in south cotabato, and now he harvests figs and dates. MM, just came from S&R and lemons now cost P239 for a pack of 6, or almost P40 each. Groceries though are not a good gauge of fresh produce prices, and neither are weekend markets. Down and dirty Balintawak and Divisoria are where the actual farm to market prices are reflected. From market to grocery, where mark-ups of 50% or higher vs. Balintawak can be seen, is where the huge cost increases occur. It’s the price of convenience I guess. Praying for your success with these figs. I hope they mature and give fruit properly in our climate. If they do, heck I’m buying me a buncha saplings too. This made my night! Thank you! I have one big fig tree which started off smaller than what you have now MM. It’s been in my backyard growing and fruiting for the last 10yrs. It makes a mess of my yard during the winter as it sheds off all it’s leaves. Now it’s probably 20feet tall and unfortunately when its fruit ripens, the bird gets to them first. At least i get to hear the nice sound of the chirping of all kinds of birds in my backyard. Mine is very light yellow when it ripens, has a taste very close to star apple (kaymito), i haven’t tried drying them and storing for future baking needs. Nice idea about using the leaves as platters at the dinner table. I bought a fig seedling for 100 pesos last summer. planted it in a big pot, and now it’s bearing fruits non stop. 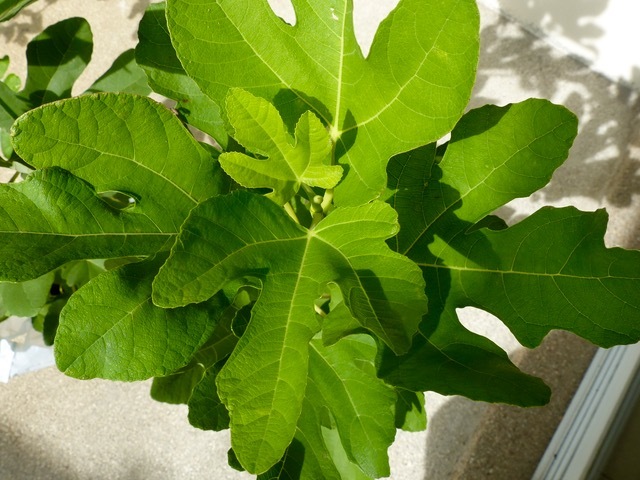 You can propagate figs by cuttings, just make sure not to over water them, otherwise the cuttings will rot. Hope this info helps. Fig trees do not like wet feet. Our rainy season will kill them. If you put them in a pot, where you can move them out of the rain, and put them back out in the sun after the rain, you’ll have more luck getting figs. 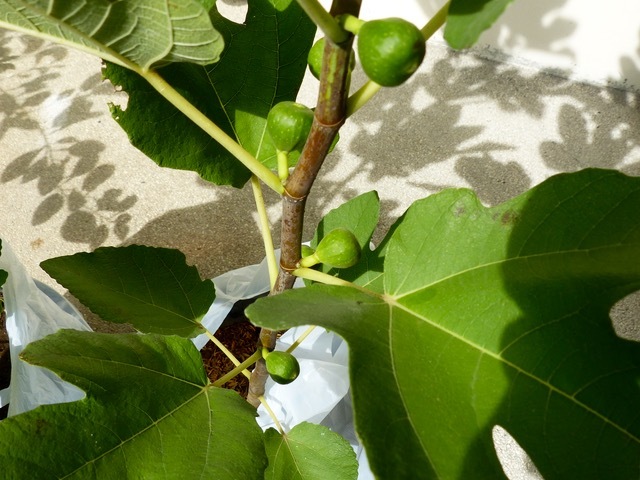 hi marketman, we have a group collecting figs from seeds abroad. Marketman, how’s your purchased figs now? Any luck with the fruits, did they ripen fine and did not just drop off the tree? I love Figs. I am in Tagaytay. Where can I buy them at a reasonable price? Similarly where can I get some young trees to plant? To propagate your figs for free try the technique called air layering. It takes about ten minutes of your time and a wait of about 2 months wait some potting soil a plastic bag and a little bit of water. We have a fig tree here in Texas and my wife (a filipina) makes preserves out of them. Figs do not last long after they are picked, they need to be eaten or frozen within 2 days. The one you buy in a market are inferior as they are picked before they are ripe. A fig does not continue to ripen after it is picked. I think that figs could be a good cash crop in the PI if you are close to Manila or one of the tourist cities of Paliwan. My wife and I plan on retiring in the PI and you can be sure we will be bringing a fig. We get so many figs that we can not eat all the preservers or marmalade which ever you would like to call it so we give it to friends and family even send it to the PI for my wife’s family. Everybody loves it! just google air layering figs and utube has all sorts of videos on it. After all why buy something you can do yourself in 10 minutes. Got plenty of them in Tarlac, Philippines, and they provide fruits all year round! You can visit my FB page Maris’s Farm Life and see how beautiful they are! do they provide good shade as well? I looking for someone in Philippines to cooperate selling fig tree. Good day Martketman! How’s your figs doing? Did they grow well? 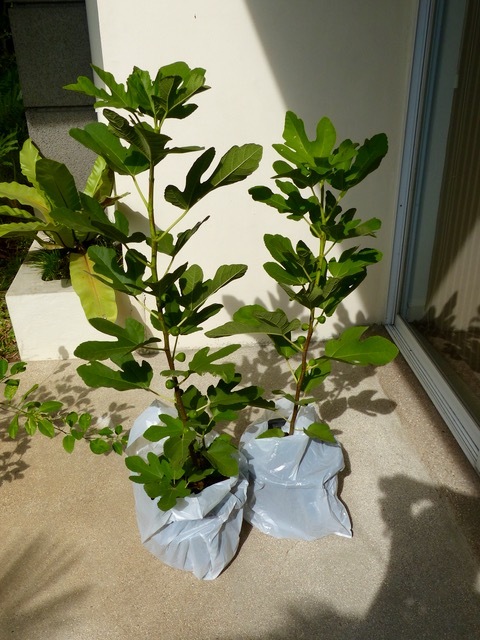 I’m planting fig trees as a hobby in Davao. Some are bearing fruits already. There were times I sold seedlings at Araw or Kadayawan exhibit at SM Ecoland. I have Brown Turkey, Osborne	, KunMing, China Fertility, GS Green, Anatolian Autumn Green, Dauphine, Kadota, China Fertility, Corfl, Longue d’Août, Lucia*, Inca Gold, Negronne, Black Mission, Noire de Bellone, Grise de Tarrascon, Black Genoa, White Genoa, Markopoulou sika, and Vasilika Melissi. I’m interested in exchanging seedlings for varieties I still don’t have. My email ad: aadle115@yahoo.com. Where can I buy fresh or dried figs?